For anyone who knows even a little bit about the human body would know how important vitamins are. One such vitamin is vitamin B12. It a very essential nutrient of the body but the human body cannot make it on its own. Therefore we depend on the diet we take or the supplements to acquire this major component. In boosting metabolism of each and every cell of the human body. Is even used in the metabolism of fatty acids and amino acids. Is important in regulating neurological functioning. It is recommended that an average person consumes about 2.4 mcg of vitamin B12 per day however, pregnant women and breastfeeding mothers should take a slightly higher dose. The vitamin B12, with the help of protein called the intrinsic factor is absorbed into the stomach. For the vitamin B12 to be adsorbed into the blood and then in cells the intrinsic factor binds itself to the vitamin B12 molecule. What happens if you take excess amount of vitamin B12? Well, it’s very simple. Since it is a very important nutrient our bodies store the excess vitamin B12 in the liver. This is so that if ever in the future your recommended daily intake is less than required, your body has a reserve. The liver and kidneys of animals especially lambs are a rich source of vitamin B12. Organ meat are said to be one of the most nutritious food. Only 100 grams serving of lamb liver can provide to around 1500% of Vitamin B12. So increase your intake of lamb, veal and even beef. This species of mollusk are a small, chewy shellfish that are choked up with nutrients. This is a source of protein that comprises of extremely high concentrations of Vitamin B12. These are usually in canned form either in water. Different oil or even sauces. Sardines are small soft-bone fish found in saltwater. Apart from being an excellent source of omega 3 fatty acids, sardines provide an excellent source of vitamin B12. Who doesn’t like cheese? I think everyone loves cheese and yogurt. Well the good news is that milk and dairy products are also a rich source of Vitamin B12 along with being a great source of protein, several vitamins and even minerals. One cup of whole milk, around 240 ml, contains about 18-20 percent of the recommended daily intake of Vitamin B12. A fun fact about the vitamin B12 in milk and dairy products is that our bodies absorb this vitamin B12 a lot better than the one in beef, eggs or even fish. Are Supplements of Vitamin B12 Recommended? Since it’s a vital nutrient for the body the answer is YES! Anyone can develop a vitamin B12 deficiency. If your intake of Vitamin B12 is less than required for the body or even sometimes your bodies are not producing enough intrinsic factor. Especially pregnant women, breastfeeding mothers, older individuals and vegans may develop a vitamin B12 deficiency. Vitamin B12 supplements are present in many forms. There is the option of swallowing with water, chewing, drinking, placing them under the tongue and injections of vitamin B12 are also available. The fact is many people regularly inject themselves with vitamin B12. These have said to have improved energy levels, brain functioning and even weight loss. So the vitamin B12 injections are believed to be a safety net. Deficiency of vitamin B12 is pretty common, especially in people who stick to vegan diets. Why? Well mainly because Vitamin B12 is a component of naturally occurring animal foods. This does not mean that meat eaters never face vitamin B12 deficiency. Sometime your body just won’t absorb the vitamin B12, usually because of deficiency of intrinsic factor. Others who fall prey to this deficiency are elderly. Those who have had any sort of intestinal surgery, or weight loss surgery, people suffering from any sort of gut or stomach disease are also at risk of vitamin B12 deficiency. The fact that lack of vitamin B12 in the body can cause neurological problems and even can be the cause of pernicious anemia. This anemia occurs when your body is lacking vitamin B12 and the body is unable to produce the quantity of red blood cells that are required. With all the horrible things that can happen if your body lacks vitamin B12, vitamin B12 shots or injections serve as the knight in shining armor. This is the most common and a very effective way to treat this deficiency. These injections which are injected either intramuscularly or into the muscles are prescribed by the doctor. The injections are normally given as either hydroxocobalamin or cyanocobalamin which are known to be highly effective at raising the blood levels of vitamin B12 hence preventing this deficiency. Low levels of B12 have been linked to declining of the brain functions, even leading up to the development of dementia. B12 injections can prevent that from happening. It has been recently discovered that high B12 in the body can help reduce the severity of depression symptoms and even prevent relapse from happening. A disorder in which the loss of bone mass results in weaker bones, increasing the risk of fractures in bones is called osteoporosis. 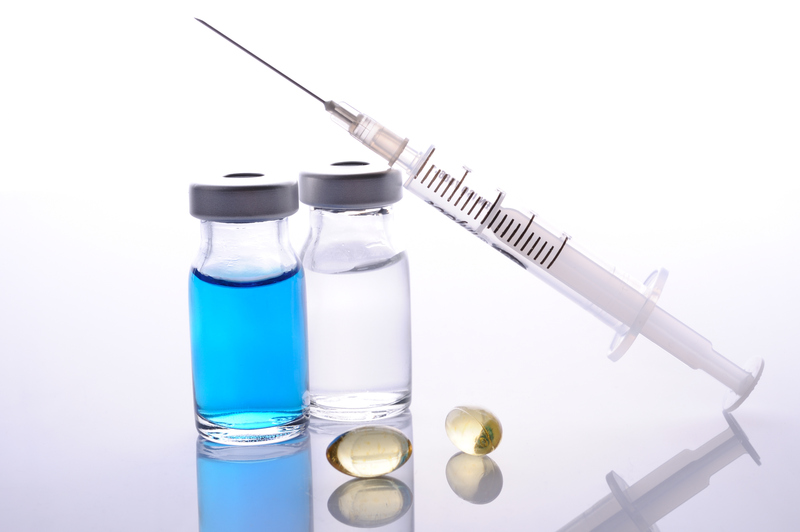 Taking vitamin B12 injections may help reduce the risk of development of osteoporosis. It has been suggested that regular Vitamin B12 injections can boost your energy levels and even aid in weight loss simultaneously improving bad or depressive moods. I have made my point very clear. Vitamin B12 is very useful. Even excess of it isn’t bad for the body. What are you waiting for? Go try it. Get a B12 shot. Most people are doing it!